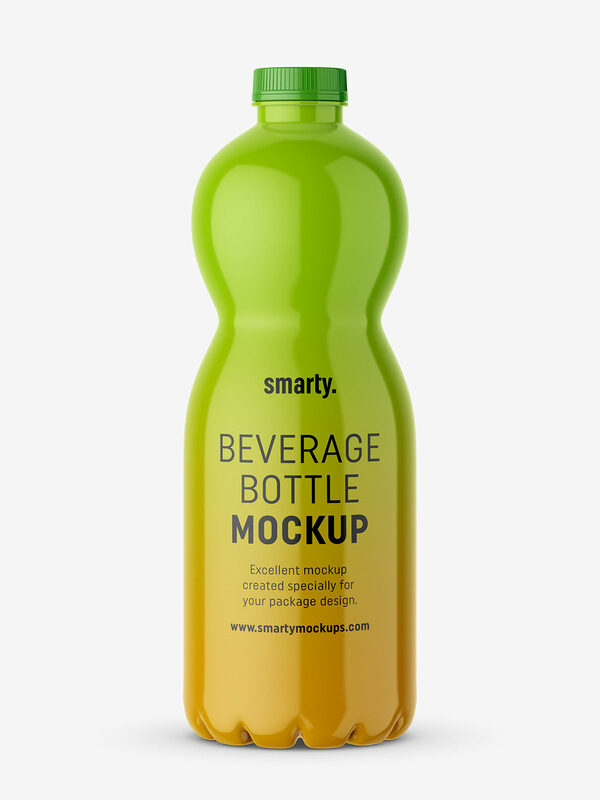 Popular bottle shape with fresh beverage mockup. It can be used as a packshot or catalog visualisation. Realistic look and separate lights layer.